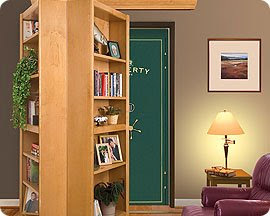 Distinctly attractive and extremely functional, Woodfold’s Bookcase Door System offers a smart, space-saving option for everything from closets, pantries and wall safes in homes, to private areas and divided rooms in schools, banks and offices. A perfect fit for both residential and commercial applications, it is custom-crafted for strength, able to support up to 500 pounds. 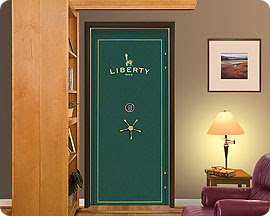 Yet, thanks to our heavy-duty roller system, it opens and closes smoothly, quietly and easily. 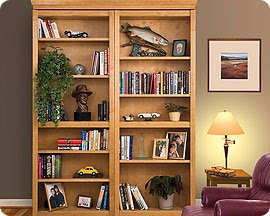 Available in a variety of hardwood veneers, carefully wrapped and palletized for shipment, fully assembled and ready to install, our Bookcase Door is the strong, silent type. Only better looking.